Many people love singing, even if it is only in the shower. With Karaoke, everyone can be a star and sing their favourite songs for fun or as a way to get ready for their big break. If you love singing along the hits of the moment and want to enjoy Karaoke without the hassle of getting expensive equipment or spending time looking for tracks online, the best option is to get a Karaoke app for your iPad or iPhone. 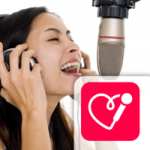 Here you will find some convenient apps that allow you to sing along, record and share your own versions of well-known songs. Considered by many as the best Karaoke app you can get for your iOS device, Red Karaoke stands out by offering a curated library with songs in a wide variety of music genres including Dance, Salsa, Metal and Country. You can record your performances on audio and video and share the videos with the Red karaoke community. You can download the app and create an account for free to start enjoying the app and if you like it and wish to get more features, you can become a VIP subscriber from $1.99. The clear interface and the rich collection of songs (over 60,000) make Red Karaoke a top choice for Karaoke fans. Yokee lets you select from an extensive list of songs and it works along with YouTube. You can sing anywhere you are, following any of the Karaoke videos available in YouTube. With Yokee, you can enjoy a versatile Karaoke experience as you can record, share your singing on Facebook and listen to your friends’ versions and vote for them. Yokee by Famous Blue Media gives you free access to an impressive library of songs and videos and it also gives you the option of adding effects to improve the sound of your voice. The Premium subscription of $7.99 provides access to a VIP catalogue and unlimited recording and sharing. Loved by millions of users around the world, StarMaker is another great way to let your voice shine while singing your favourite songs. The app allows you to select from hundreds of current hits from popular artists and you can improve your voice using real Auto-Tune. Furthermore, the app gives you the option to capture your performance on video. 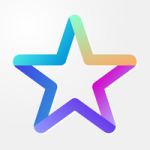 If you dream about becoming a famous singer, StarMaker can be a good way to get started as you can share your voice and videos with others in the community. There are regular auditions and contests so you may even get a chance of becoming the next big thing. The app is free but you can unlock additional songs through in-app purchases or by singing and recording more songs. You don’t need a huge TV set or special equipment to host a Karaoke party because apps like Karaoke Anywhere by JoltSoft let you use your iPhone to have fun singing, no matter where you are. The app offers a streaming library with thousands of songs and you can enjoy the full Karaoke experience thanks to all the practical features available. You can set playlists, connect the iPhone to a TV if you prefer a larger screen, change the key to suit your vocal range and record/share your performances from the app. You can download the app for free or subscribe to the monthly Plus service for $9.99 to get full access to the extensive song library. 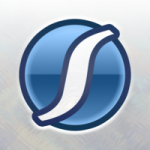 SingSnap brings a simple app that has become the favourite of many users thanks to its large selection of free tracks. There are over 1000 songs available without additional charge and you can sing, record and play back your own versions of popular hits whenever you want. You can keep the recordings private or share them to get feedback from the community or listen to other people’s performances and provide your comments. It is also possible to add audio enhancements for your recordings and to record duets with other members of the SingSnap community. The app can be enjoyed for free, but you also have the option of getting even more from it when you upgrade to the Gold version for $14.99. 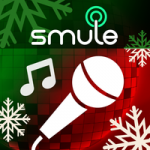 Smule’s app is hugely popular thanks to its combination of a vast catalogue, flexible social features and cool effects. New songs are added every day and if you can’t find the track you are looking for, you can request it through their Facebook page. Sing! Karaoke features audio effects that allow you to sing like a professional, a self-recording option with video to capture your performance and a worldwide platform where you can share your recordings. It is possible to sing video duets with some of the most popular artists. You can download the app for free, but to get the most out of the app, you would need to get VIP All Access from $2.99. 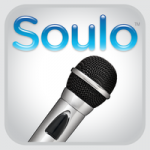 Soulo Karaoke by Seven45 Studios is a traditional karaoke app that offers all the basic features that you need to have fun singing along the songs you love. While the library is limited when compared to other apps, you can get additional options through in-app purchases. If you have karaoke tracks in your iTunes library, the app can scan the library and pick them from there. You can manage volume levels for the music track and for your voice and it is possible to record videos of your singing and to apply pitch correction to them. The app can be downloaded for free.